I know that many think that money or wealth and spirituality don't mix. That's fine, each to their own beliefs. Personally I see nothing wrong with money as long as it isn't an obsession or the main focus in life. At the present time we need money to get a long and to ease some of the stresses of life. Okay, as is often said, it doesn't bring happiness, that's down to our thought processes, but it can help us along the way - and perhaps also allow us to help others. I'm on to this theme because of the subject of visualisation, where what we see or visualise becomes a reality. "But why doesn't visualisation work fairly?" someone asked me. Well it does, all natural laws do. What the person was referring to was an example where there were three people out of work: Alan who previously earned $20,000 a year, Brian who earned $50,000 and Clive who used to scape by on $100,000. Alan, Brian and Clive head off to a teacher of visualisation with the aim of getting new employment. They learn the basics well and each of them lands a spanking new job. Alan got a job earning $20,000, Brian's employment will bring him in $50,000 and Clive was happy with his $100,000 a year. "So how can that be fair? They all put in the same effort with their visualisation but earn differing amounts." The answer is simply that we can only get a pint of beer in a pint glass. 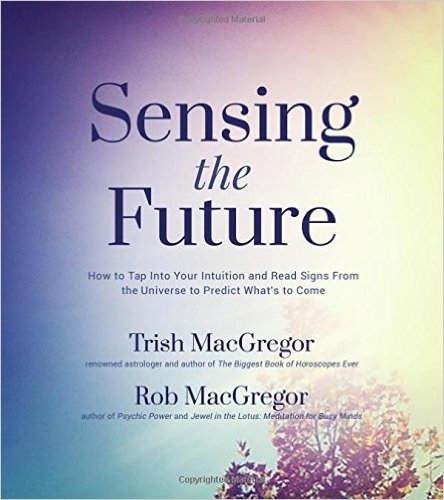 To put it another way, we can only receive our fill - or receive at a mental capacity to what we can comprehend. Alan's life experiences have shown him that he can make $20,000 a year. It's what his mind accepts as being the right level, so this is what the Universe will give him. Likewise Clive is used to $100,000 so that's what he expects and gets. The Universe does answer our requests or visualisation but at a level to which we believe is possible. We have to think more affluently to demonstrate greater prosperity. It's never sufficient to say something like, "I am a millionaire." We have to expand our mind to believe, without doubt, that this is attainable - if this is really what we want. Visualisation works at a level to which we believe it will work. Great post. The analogy makes perfect sense, too. 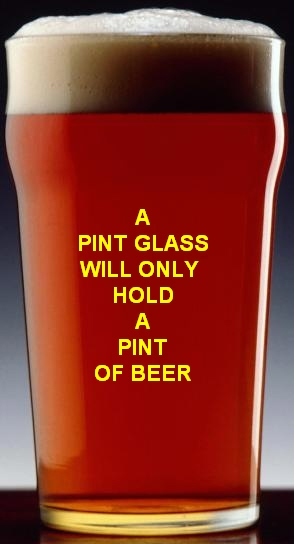 I'm going to print the pint glass and post it somewhere very visible. How true, how true. Super post, must get myself a much larger glass! I think believing we already have it. Everyday I wake up with a grateful heart... so for me...the more grateful I am...the more I receive of the things I'm grateful for. I think the key for me is believing it is already so. I'm grateful for this blog post Mike. I love how you share your genuinely good thoughts with others...you help make our world rich.